The Baltimore City Office of the Inspector General (OIG) found that the Office of Chronic Disease Prevention (OCDP) within the Baltimore City Health Department engaged in "wasteful spending" of lead revenue funds. The OIG estimated that managers wasted $170,000 of the $345,955 spent from the lead revenue accounts. Lead revenue funds are generated from subpoenas for environmental and medical records, public information requests, and fines assessed against landlords in Baltimore City. 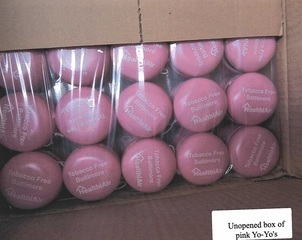 According to the report, the OCDP used the funds on promotional items, gifts for staff and costly travel. More than $4,500 spent in 2017 for 350 umbrellas to be used as holiday gifts. 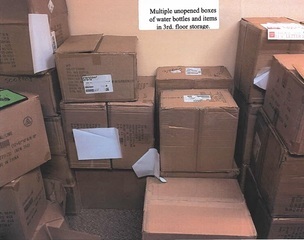 During the OIG inventory in July of 2018, 210 of the 350 umbrellas ordered were still in the storage room. </p><p>In its response to the OIG's findings, the City Finance Department has recommended that the Lead Special Fund account be closed and instead revenue generated by those programs be deposited into the General Fund. Expenditures from the General Fund are more closely monitored and evaluated. The Baltimore City Health Department acknowledged that there was poor inventory management policies and procedures for 2017 and 2018, but dispute that the expenditures were a "waste." "Most of the funds identified by the OIG as waste were used to meet a number of programmatic needs, including promotional materials for distribution at community events aimed at raising awareness of lead poisoning prevention services and, in part, to cover the cost of a nurse assigned to treat children suffering from asthma. The agency maintains that these are appropriate uses and advanced the programmatic mission of the lead program. In fact, through promotional and awareness efforts led by the CLPPP, our partners, and other stakeholders, lead poisoning cases throughout the city fell by 19% last year." The statement went on to say that the Health Department is working with the OIG and they've established revised procedures.